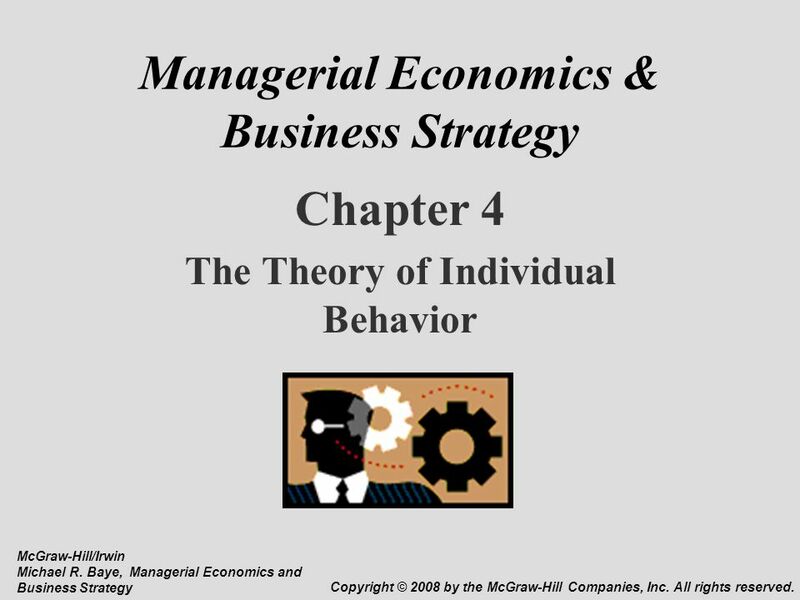 Chapter 4 The Theory of Individual Behavior McGraw-Hill/Irwin Michael R. Baye, Managerial Economics and Business Strategy Copyright © 2008 by the McGraw-Hill Companies, Inc. All rights reserved. 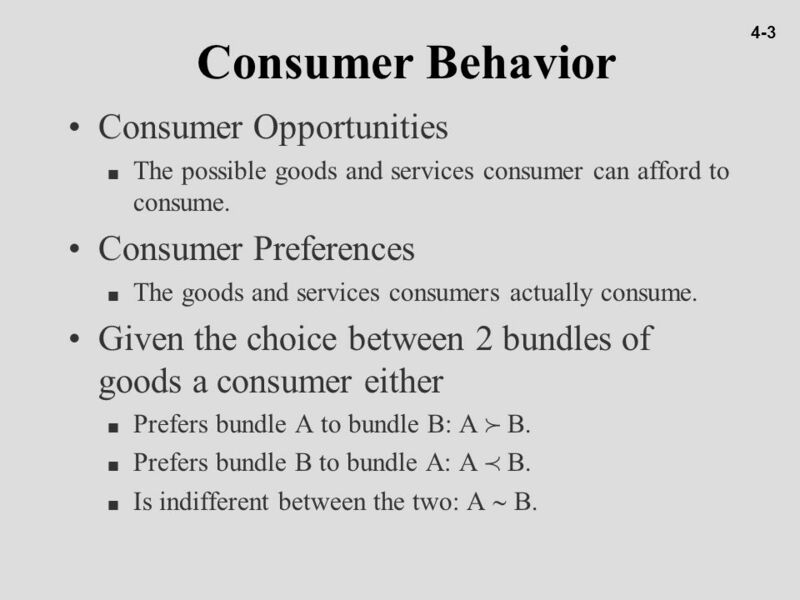 4-3 Consumer Behavior Consumer Opportunities The possible goods and services consumer can afford to consume. 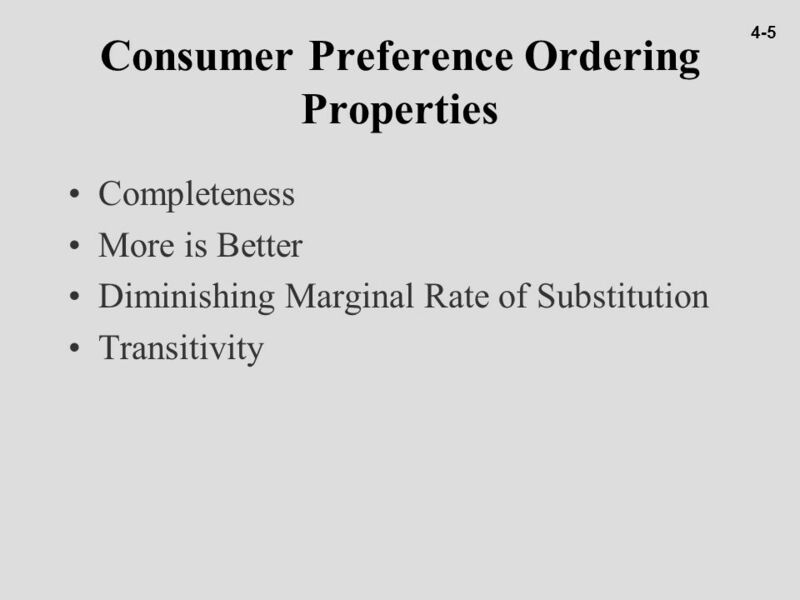 Consumer Preferences The goods and services consumers actually consume. 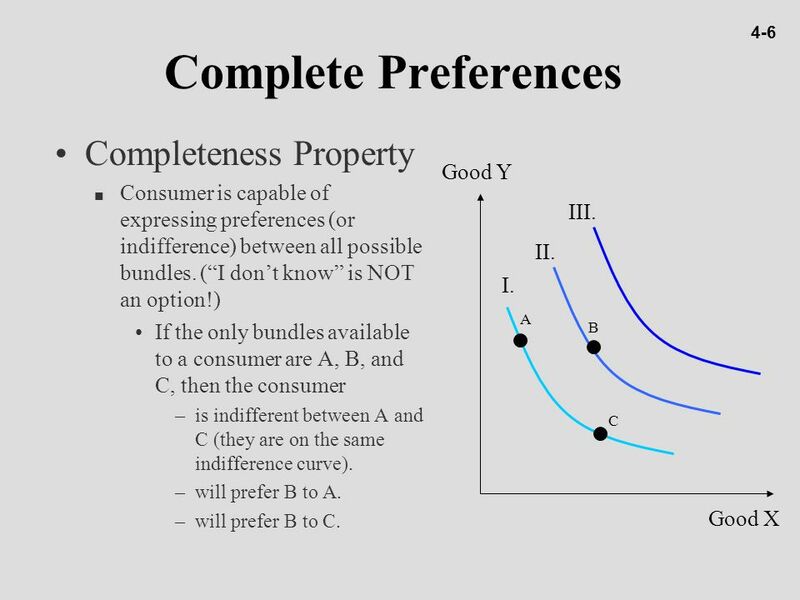 Given the choice between 2 bundles of goods a consumer either Prefers bundle A to bundle B: A  B. 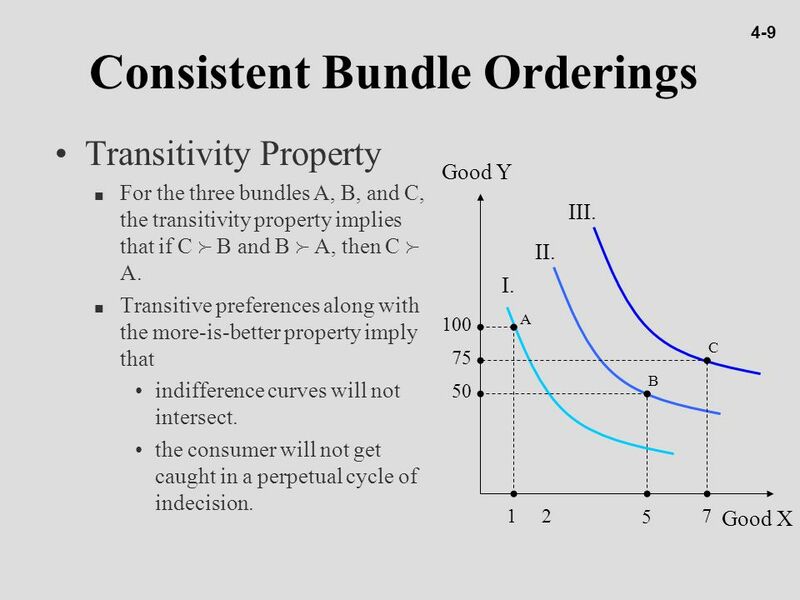 Prefers bundle B to bundle A: A  B. Is indifferent between the two: A  B. 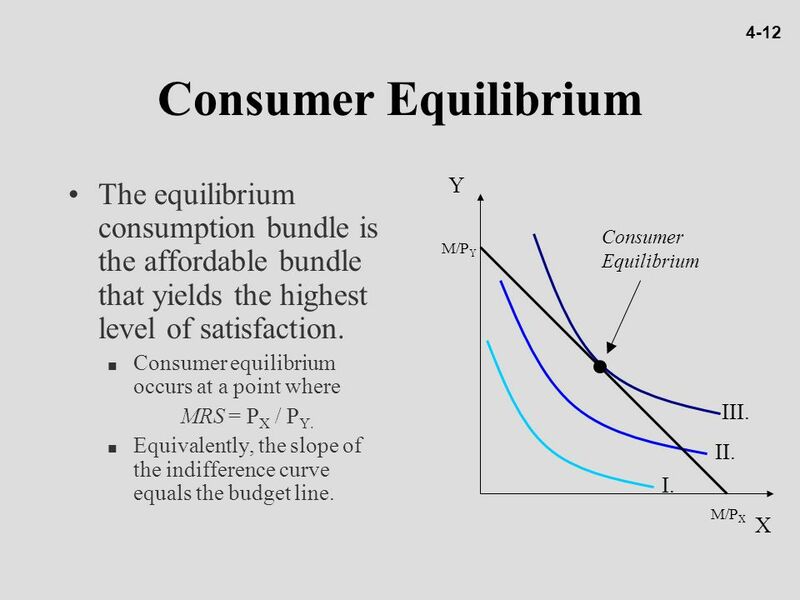 4-13 Price Changes and Consumer Equilibrium Substitute Goods An increase (decrease) in the price of good X leads to an increase (decrease) in the consumption of good Y. Examples: Coke and Pepsi. Verizon Wireless or AT&T. 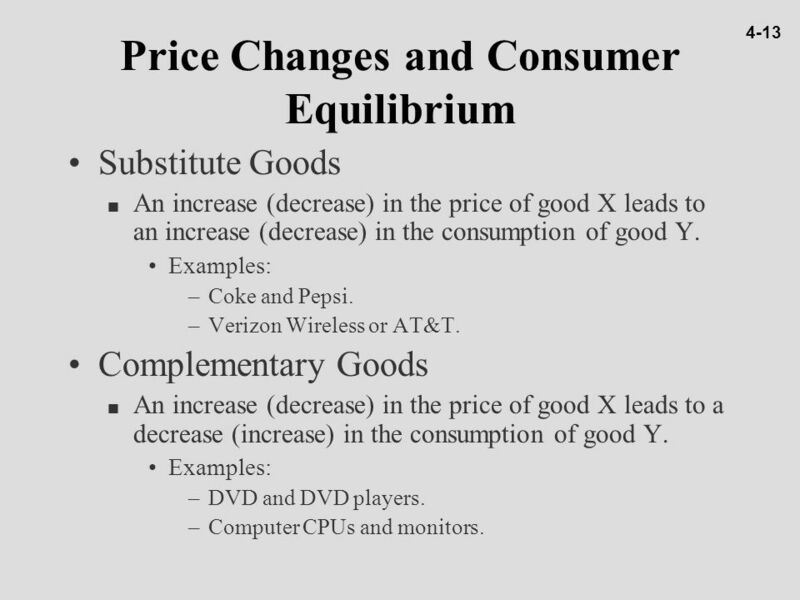 Complementary Goods An increase (decrease) in the price of good X leads to a decrease (increase) in the consumption of good Y. DVD and DVD players. Computer CPUs and monitors. 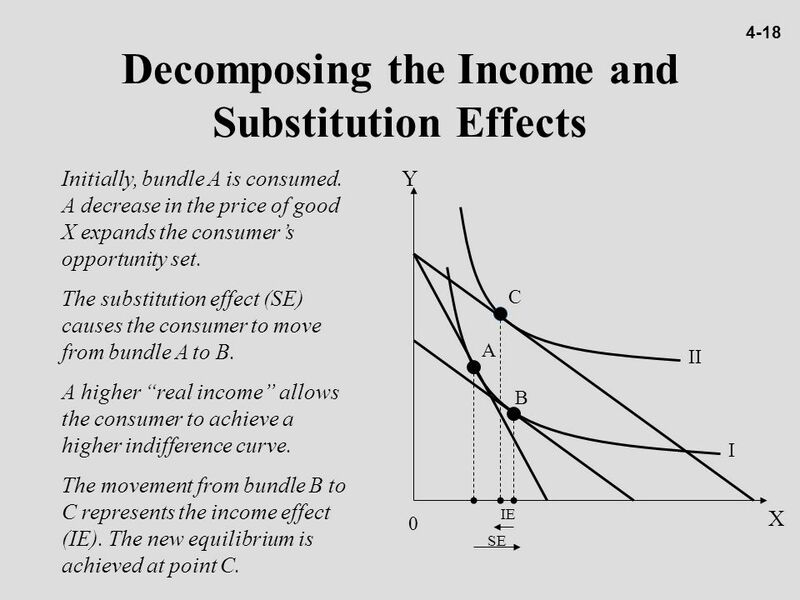 4-16 Income Changes and Consumer Equilibrium Normal Goods Good X is a normal good if an increase (decrease) in income leads to an increase (decrease) in its consumption. 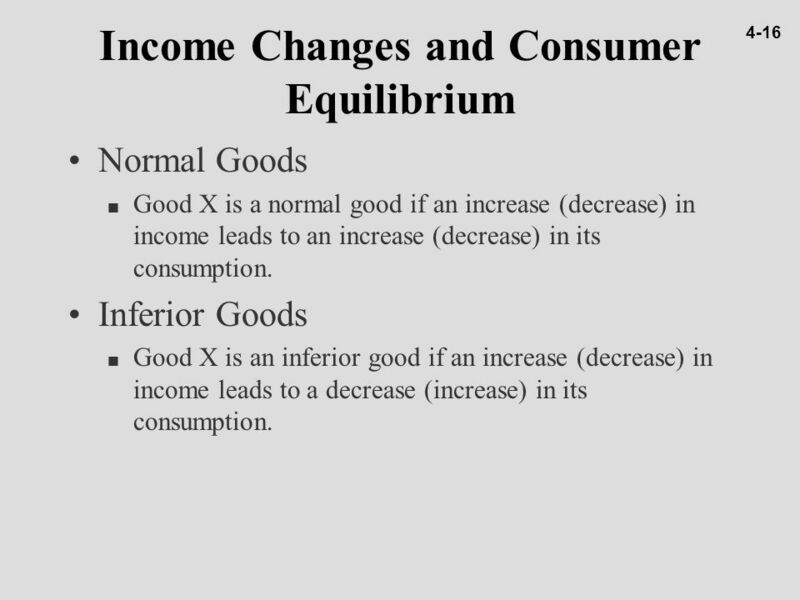 Inferior Goods Good X is an inferior good if an increase (decrease) in income leads to a decrease (increase) in its consumption. 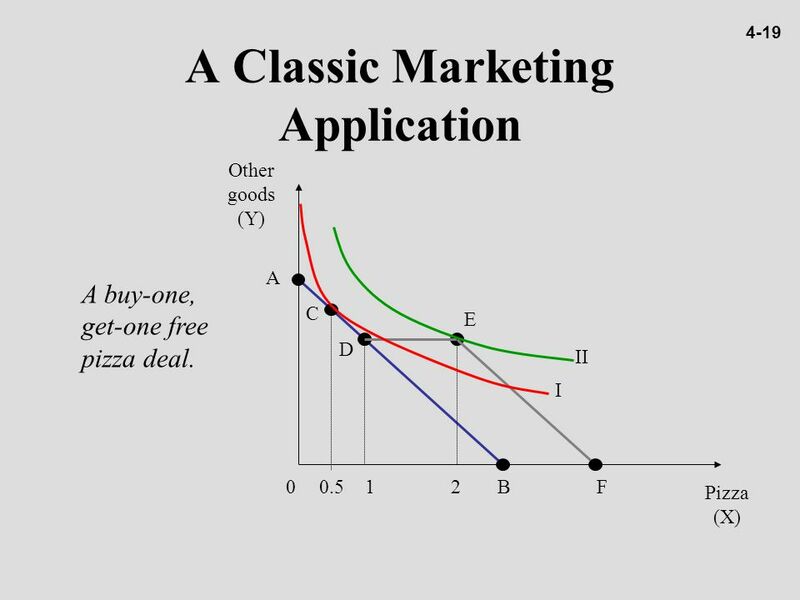 4-19 A Classic Marketing Application Other goods (Y) II I A C B F D E Pizza (X) 0.5 1 2 A buy-one, get-one free pizza deal. 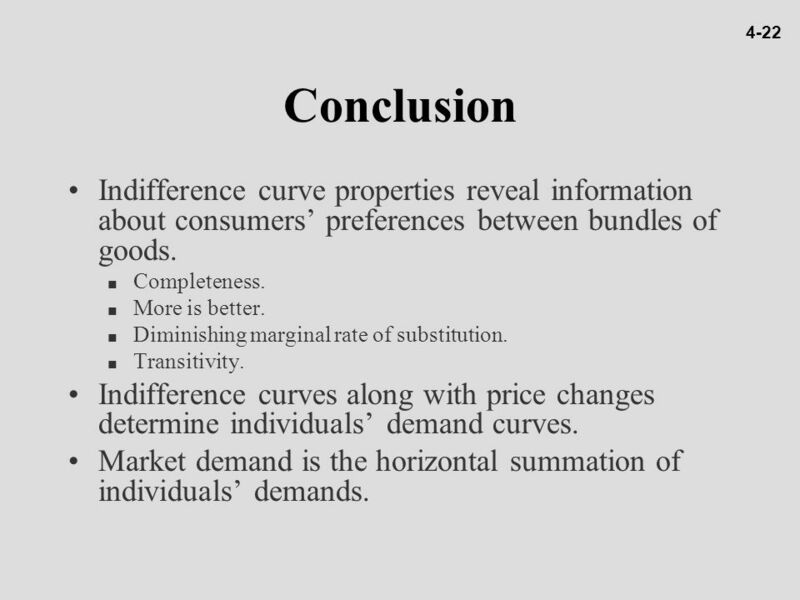 22 4-22 Conclusion Indifference curve properties reveal information about consumers’ preferences between bundles of goods. Completeness. 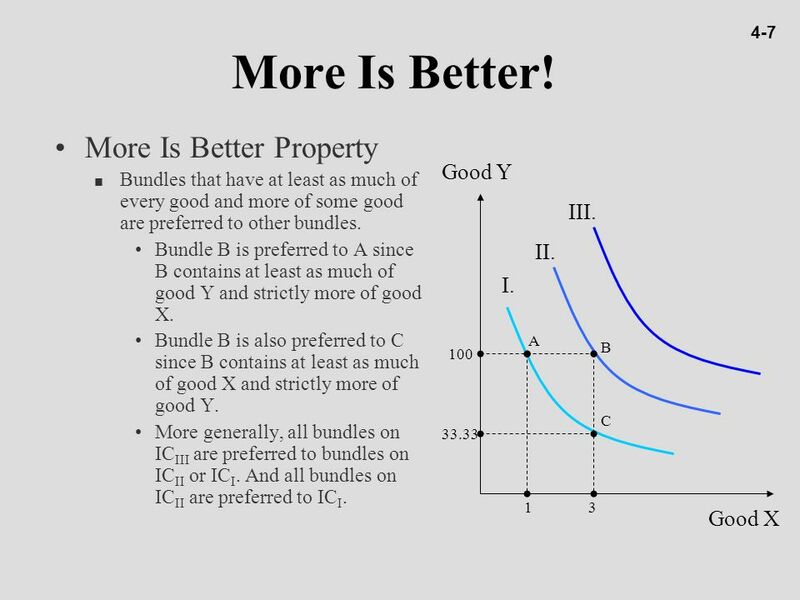 More is better. 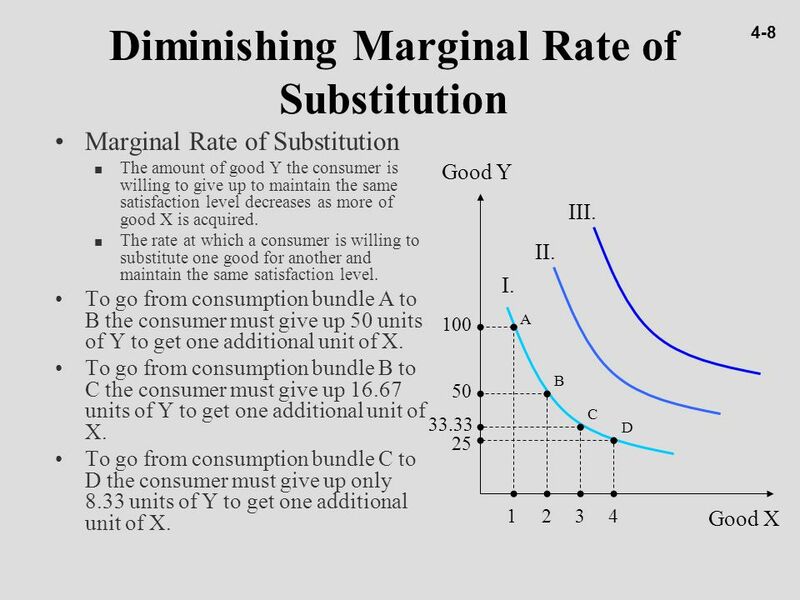 Diminishing marginal rate of substitution. Transitivity. 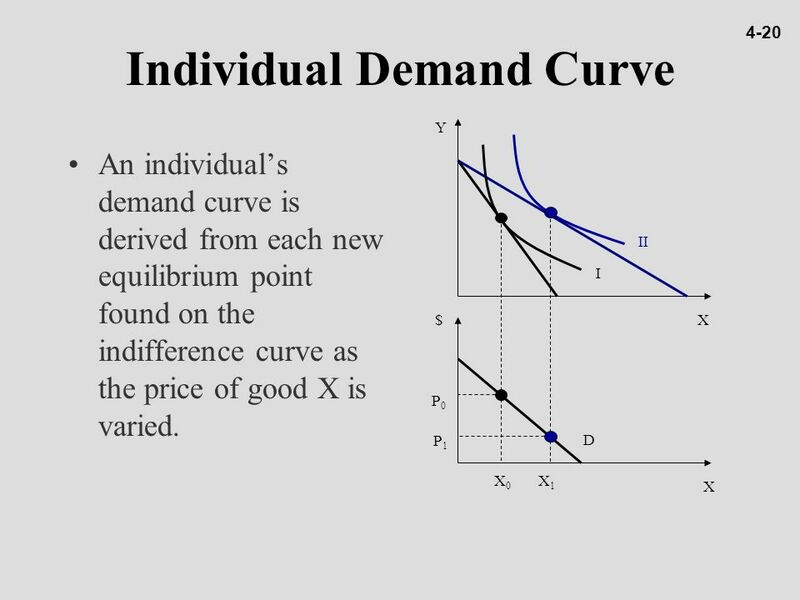 Indifference curves along with price changes determine individuals’ demand curves. 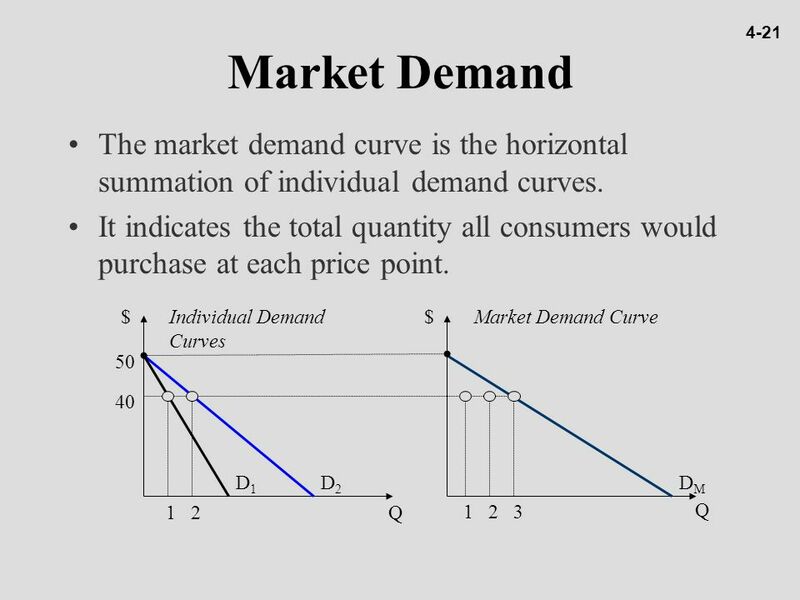 Market demand is the horizontal summation of individuals’ demands. 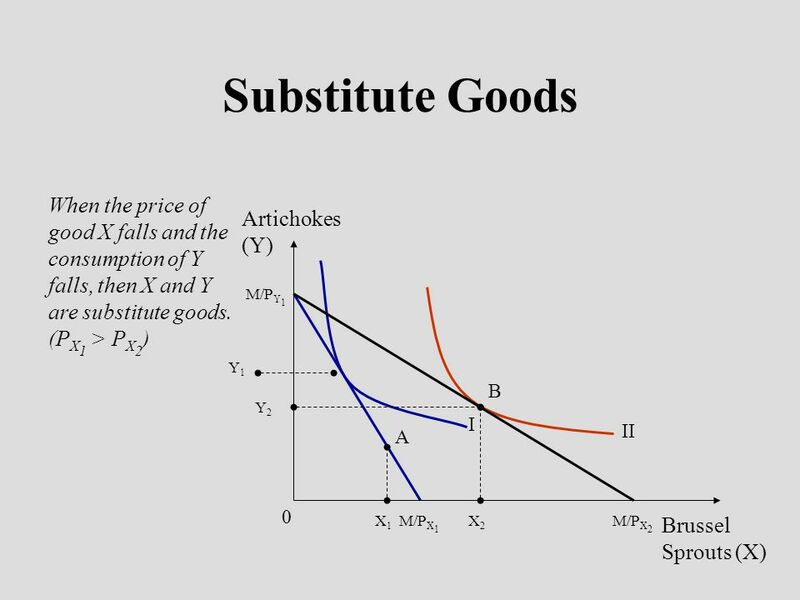 Download ppt "Managerial Economics & Business Strategy"
Chapter 3 McGraw-Hill/IrwinCopyright © 2010 The McGraw-Hill Companies, Inc. All rights reserved. 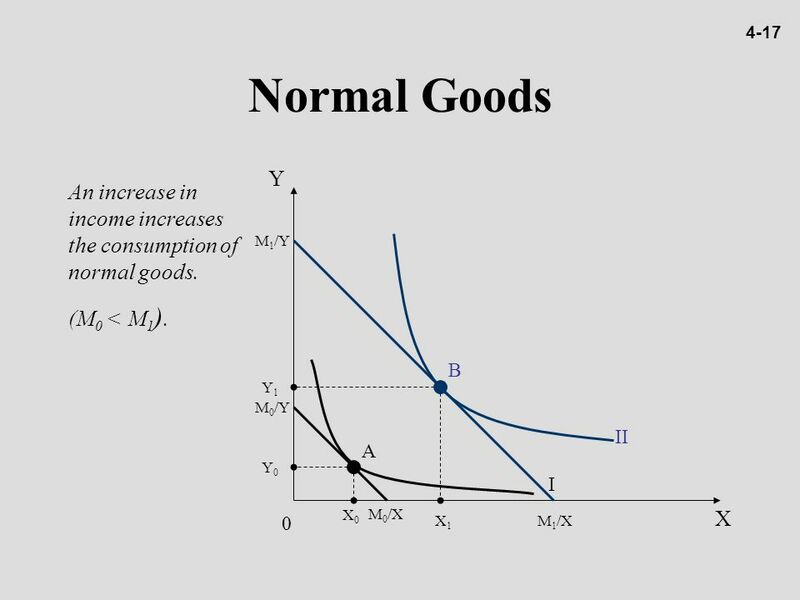 WHY DOES THE DEMAND CURVE SLOPE DOWNWARD? Chapter 4 homework Questions 6, 8, and 16. 9 POSSIBILITIES, PREFERENCES, AND CHOICES © 2012 Pearson Education. 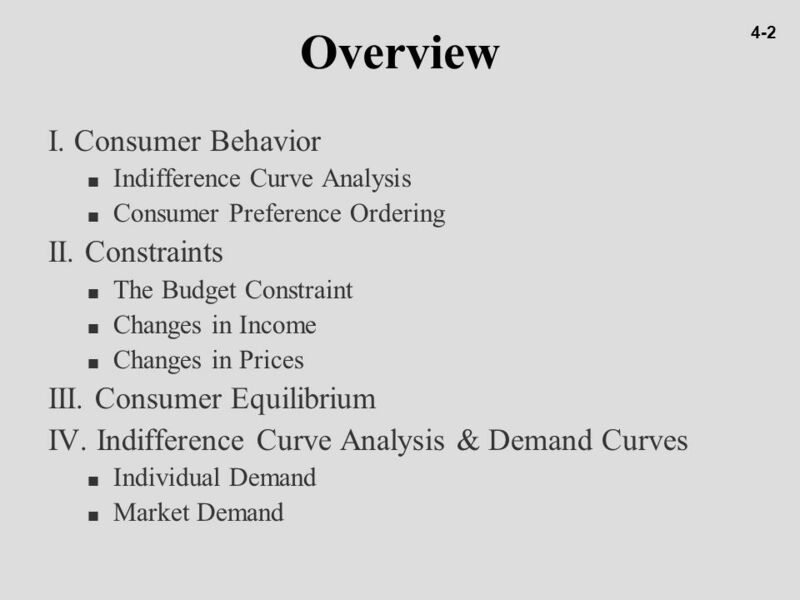 Managerial Economics & Business Strategy Chapter 4 The Theory of Individual Behavior. Michael R. Baye, Managerial Economics and Business Strategy, 3e. 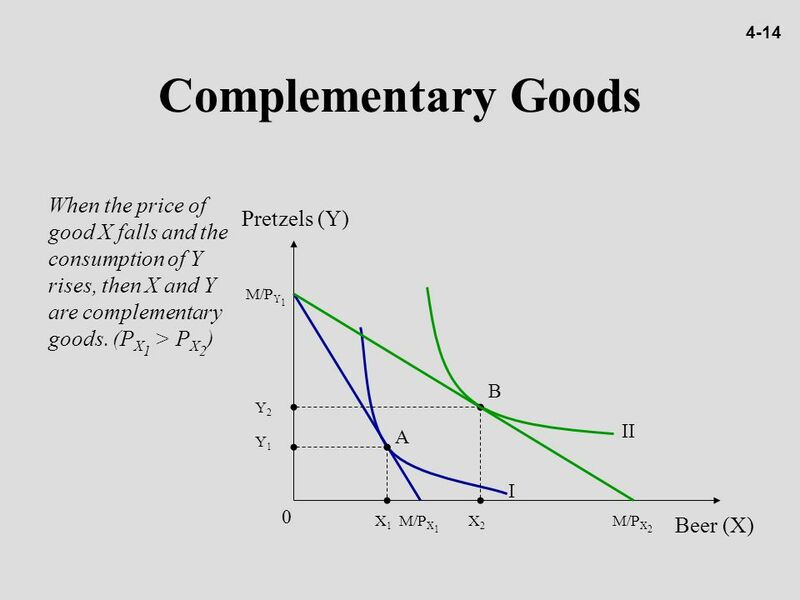 ©The McGraw-Hill Companies, Inc., 1999 Managerial Economics & Business Strategy Chapter. 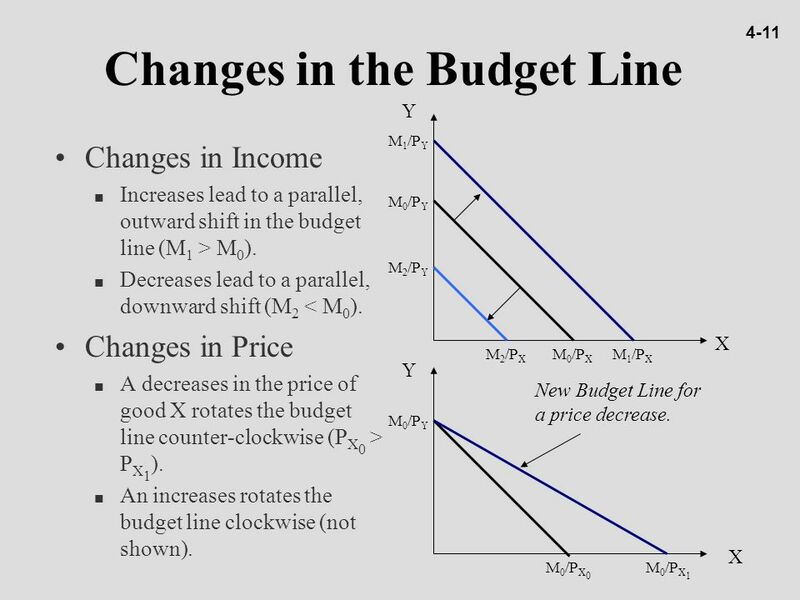 Changes in Income An increase in income will cause the budget constraint out in a parallel manner An increase in income will cause the budget constraint. 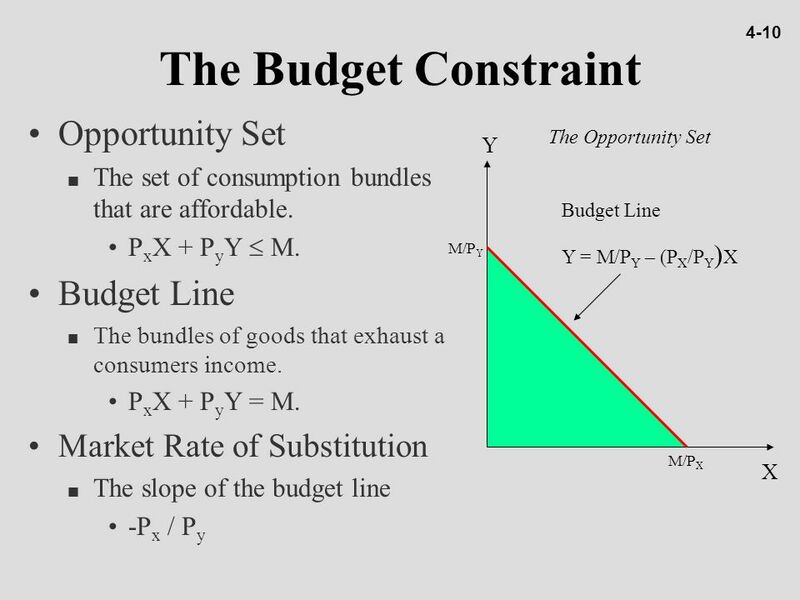 CHAPTER 2 DEMAND AND SUPPLY ANALYSIS: CONSUMER DEMAND Presenter’s name Presenter’s title dd Month yyyy. CHAPTER 4 The Theory of Individual Behavior Copyright © 2014 McGraw-Hill Education. All rights reserved. No reproduction or distribution without the prior. 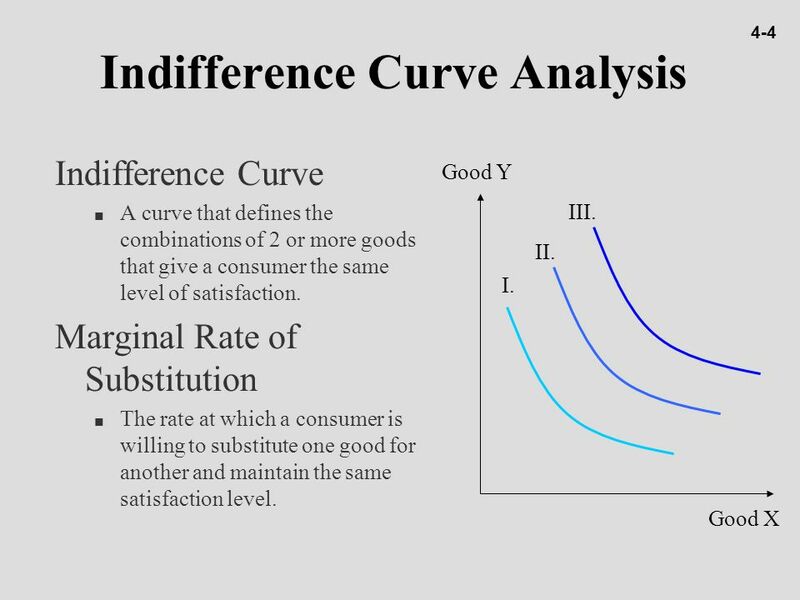 INDIFFERENCE CURVES AND UTILITY MAXIMIZATION Indifference curve – A curve that shows combinations of goods which gives the same level of satisfaction to.